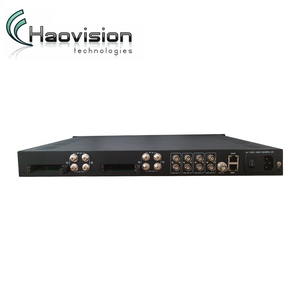 CATV Headend Equipment 1550nm EDFA with Multi Output and High Power WS-16EY2Uxx style CATV Headend Equipment high power multi-ports optical amplifier with gain spectrum band within 1540~1563nm, which is mainly designed for the application of CATV or 1~8 continuous branding channel(ITU wavelength) and also offers a flexible and low-cost solution for CATV large area coverage of large and medium-sized cities. 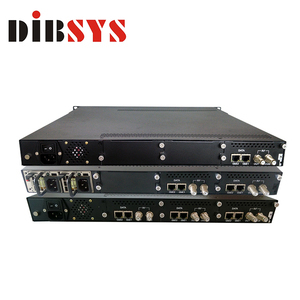 WS-ErAxx can realize Single wave transmission, CWDM three waves in single fiber, flat gain DWDM; it is important fiber transmission equipment of building large and medium -sized CATV network, mainly used in FTTH,FTTB,DBS,MMDS,FTTX pon. 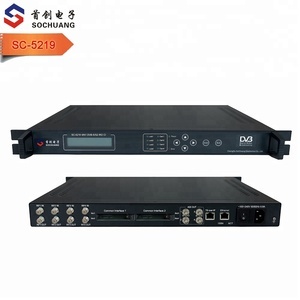 Item Unit Technical paremeter Bandwidth nm 1545~1565 Input optical power dBm -5 ~ +10 Max output power dBm 40 Output power stability dBm &plusmn;0.5 Noise dB &le; 5.0 Return loss Input dB &ge; 45 Output dB &ge; 45 Optical connector SC/APC&LCAPC C/N dB &ge; 50 C/CTB dB &ge; 63 C/CSO dB &ge; 63 Supply voltage V A:AC160V~250V(50Hz);B:DC48V Consumption W &le; 90 Working temperature &#8451; -10 - +42 Max relative humidity % Max 5% no condensation Storage temperature &#8451; -30 ~ +70 Devise size mm 464(L)*440(W)*89(H) Package size mm 640(L)*640(W)*200(H) Click this picture to contact us! 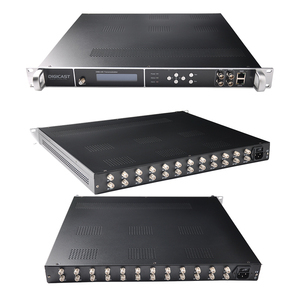 3 YRS Nantong ZYDZ Electronic Co., Ltd.
After multiplexing and de-encryption with CAM module, then give it to ASI, IP (MPTS and SPTS) as well as various interface video/audio output. 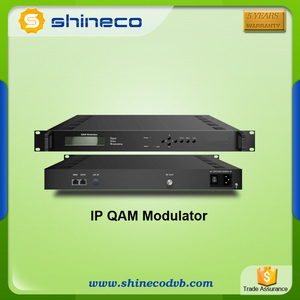 With the CAM slot support, it can support one channel (Tuner, ASI or IP) de-scrambling and give transparent signal output. Moreover, user can choose to have an optional ASI output interface which can pass through the encryption data source directly from tuner. 10 YRS Shenzhen Dingshengwei Electronics Co., Ltd. 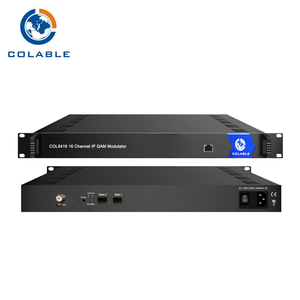 Factory wholesale Output Frequency Range 50-1000MHz Encode Modulator The SK-860CH encoder modulator is a HD input and DVB-C RF output digital product. Add: bldg A, the first industry park of Guanlong, Xili Town, Nanshan Dist. change the # to @,Thanks! Alibaba.com offers 11,695 32 outputs products. such as free samples, paid samples. There are 11,695 32 outputs suppliers, mainly located in Asia. The top supplying country is China (Mainland), which supply 100% of 32 outputs respectively. 2 outputs products are most popular in North America, Domestic Market, and Mid East. You can ensure product safety by selecting from certified suppliers, including 2,116 with ISO9001, 777 with Other, and 373 with ISO14001 certification.